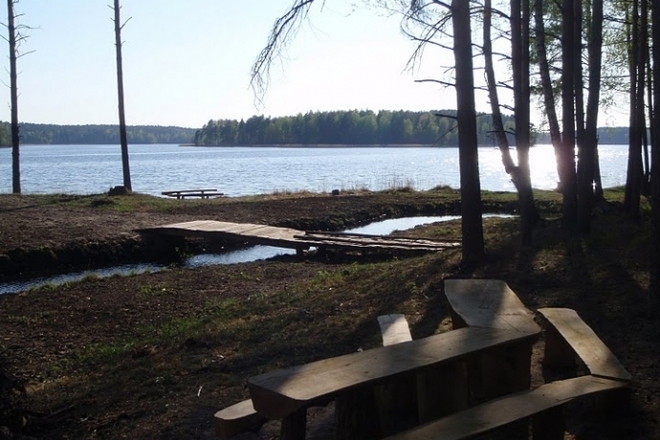 We invite you to come and relax in the campsite located at the lake Siesartis. In the strand of 800 metres, there are 15 camp places with fireplaces, wooden tables and benches, electricity. Almost all camp places have garden furniture, two of them are with cottages. The campsite has several bigger spaces suitable for events, jamborees, picnics (up to 200 people). There are also volleyball and football fields.